. 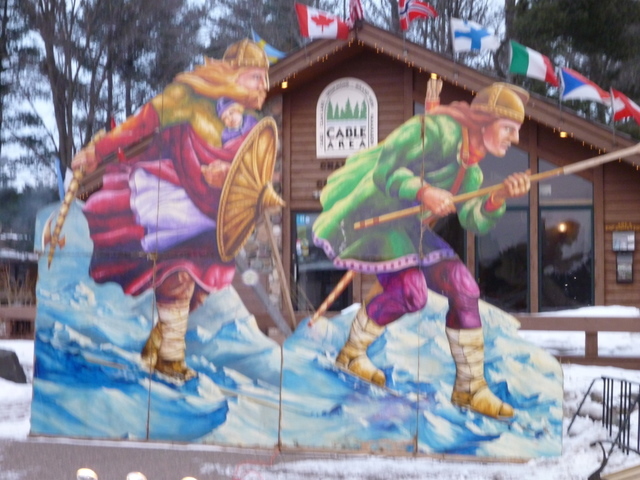 : E Load Marathon Race Report: American Birkebeiner :: Ski XCOttawa.ca :: Skiing in Ottawa and Gatineau Park :. 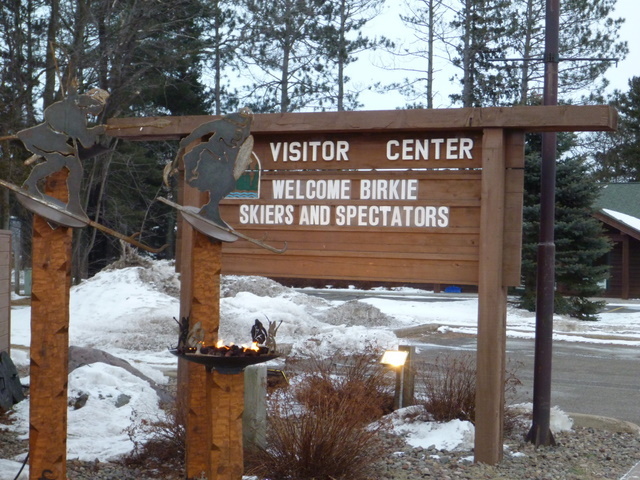 Dennis Kruse (American Birkebeiner): Basically made this whole trip happen for us. 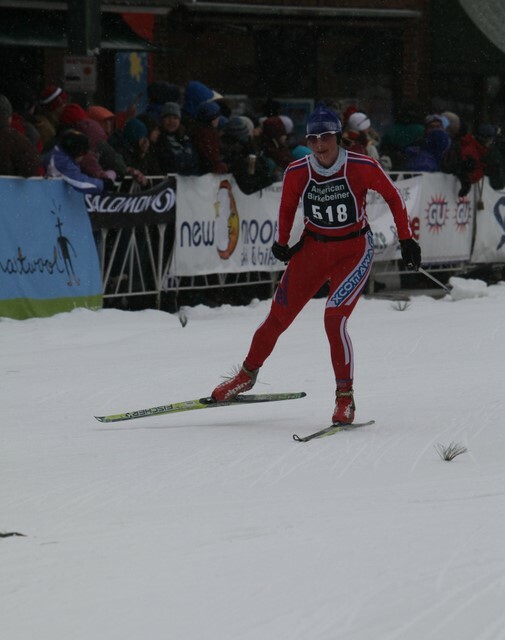 He also plays a HUGE part in making the Birkebeiner happen. 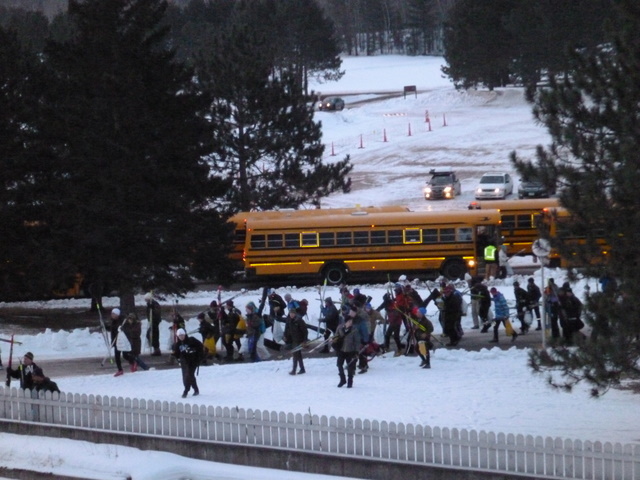 American Birkebeiner: Organizing this thing can only be tough. The people who do it are more than ready, more than willing, and more than able. Chris Hall and Peter Ashley (Fischer U.S.A): Grade of A+ for getting us our E Load bottles at 2 separate places on the course. 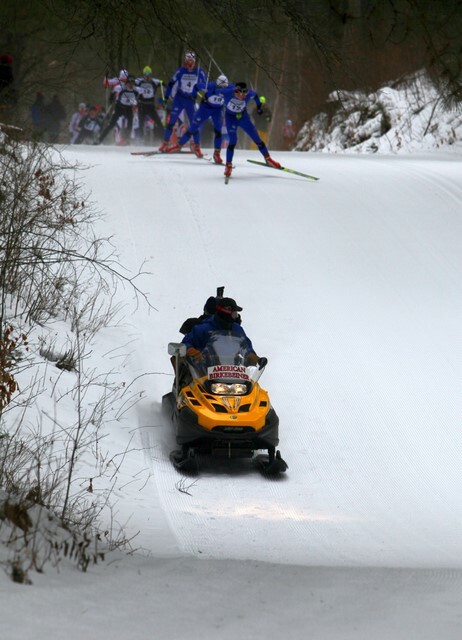 Eric Pepper, Nathan Schultz and everyone at Boulder Nordic Sport: The skis had engines. In the North American context, maybe it’s the granddaddy, maybe it’s the mother of them all, maybe it’s nordic emancipation, or maybe, at particular moments, it’s the nightmare on misery sticks. 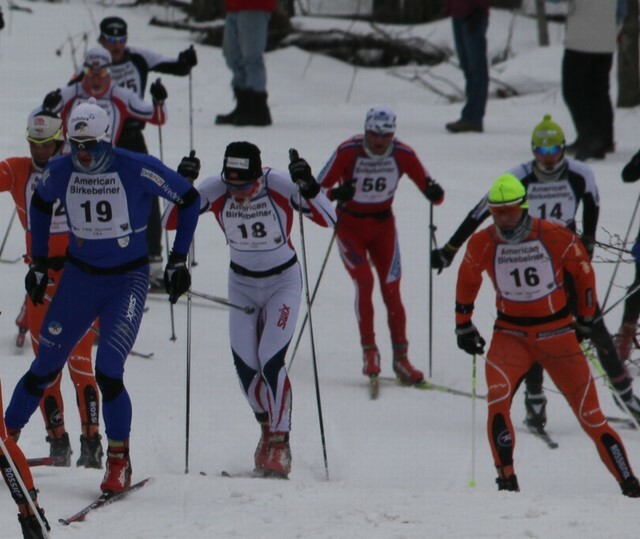 The American Birkebeiner is by no means the same thing to all 10 000 or so participants, but it is some thing. 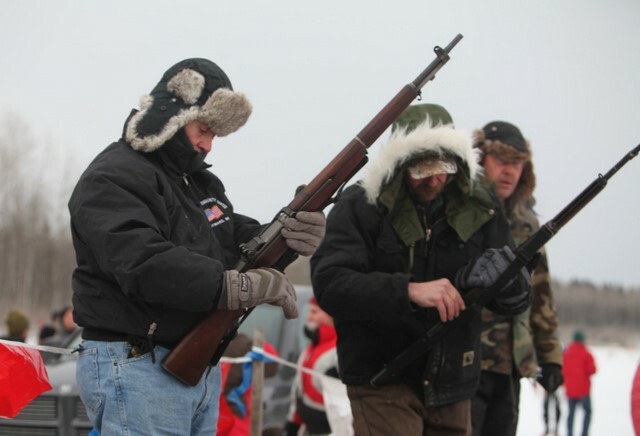 The host “cities” of Hayward and Cable, Wisconsin, are pleased that it exists. That much is unquestionable. For better or for worse, the Moccasin bar in Hayward, for example, reportedly anticipated selling no fewer than 1000 bottles of beer (so not counting draft and other beverages) in the several hours following the morning of the race. At the co-op grocery store the owners hand out business cards to anyone wearing lycra, and at the hardware store, they ring a large bell when one of us passes the till. This kind of thing could be expected to put both the participants and the business owners in a good mood. Basically, this is the A.G.M. 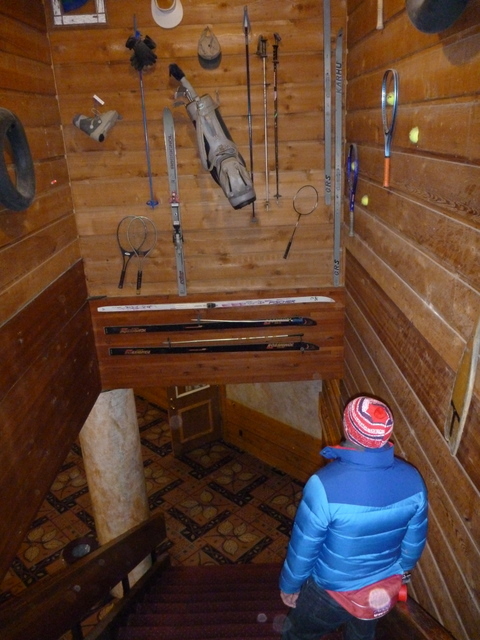 of people in the U.S. who like the idea of skiing long distances with a bib on and the clock running. 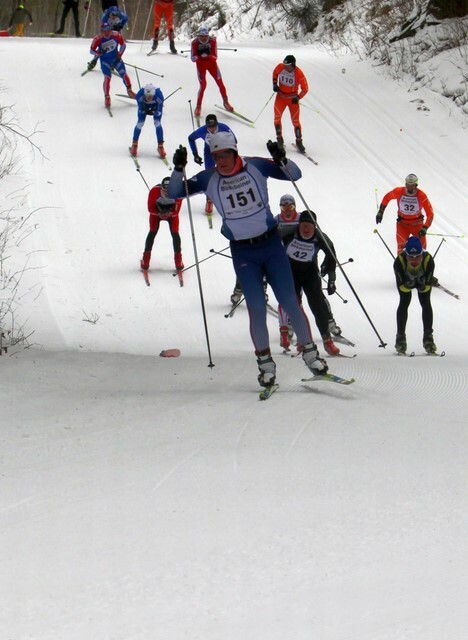 As one person I know put it, when you stand shivering at the start line by the stars and stripes, and you look back at horde of skiers about to break a lot of expensive ski poles, you say to yourself, “ for better or for worse, this is my tribe”. Even though I am Canadian, that is pretty much it. 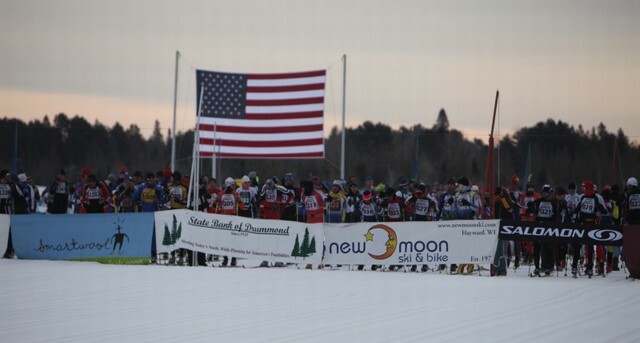 There’s a feeling that this is ridiculous, but there’s also a certain feeling of solidarity, and something strangely reassuring about knowing that there are at least a few thousand other people that share your addiction to the bizarre and great pastime that is cross country skiing. Then, everybody else loses their minds until a very long time after they finally round the bend and see the finish banner on Hayward’s Main Street. Some express this by skiing on everybody else’s skis, others by yammering on to strangers for the entire length of the trail. People of some nationalities hold on to their sanity until the evening, but eventually wind up drinking too much of that Leini’s and then eating pickled turkey gizzards and doing handsprings at the Saloon until they are taken away. As you can no doubt tell, you would have to work at it quite conscientiously if you wanted to avoid having a good time. While there actually are people who do that, we are not that disciplined. 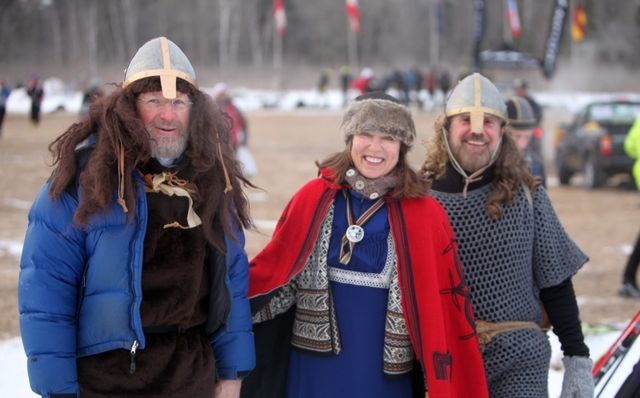 We did have a very good time, before, during, and after the 2011 American Birkebeiner. Race Report: Ontario Cup #2 Thunder Bay - Review and Photos! Q & A: That's an Excellent Question: How to keep your heart rate monitor strap up? Sheila's Nutrition Digest: Do Athletes Need More Protein?